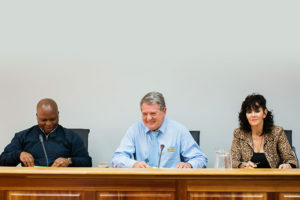 This serves as official notification that Cllr Eleanore Bouw-Spies, on Thursday, 13 December 2018, during a Special Council Meeting, was inaugurated in as Councillor of the Garden Route District Council.Soon after her inauguration, she was also elected as the Speaker of the Garden Route District Municipality. 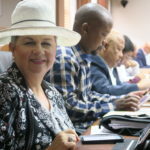 Cllr Eleanore Bouw-Spies, soon after being elected as the new Speaker of the Garden Route District Municipality. Council warmly welcomed Cllr Bouw-Spies as the new Speaker of the Garden Route District Municipality. 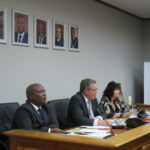 Cllr Piet van der Hoven said: “We have full confidence in your ability to fulfill your task with dignity and fairness. Councillor Claudia Lichaba welcomed Cllr Bouw-Spies and said: “Congratulations, now we have a clear direction going forward and for that you should direct us with your leadership. We have now a lot of women in leadership positions,” she added. 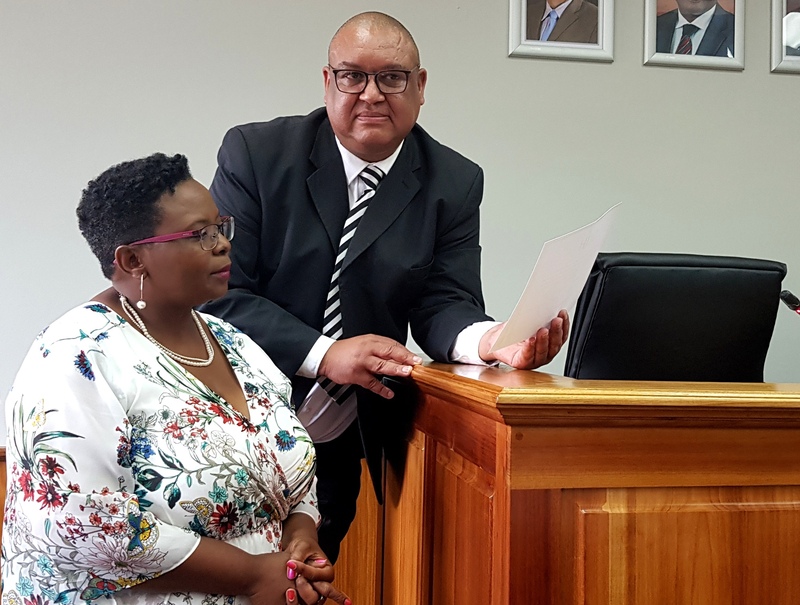 Cllr Eleanore Bouw-Spies, chairing her first Council meeting, with Acting Municipal Manager, Mr Clive Africa (left) and Ms Daphne October, Acting Executive Manager for Corporate Services (right). 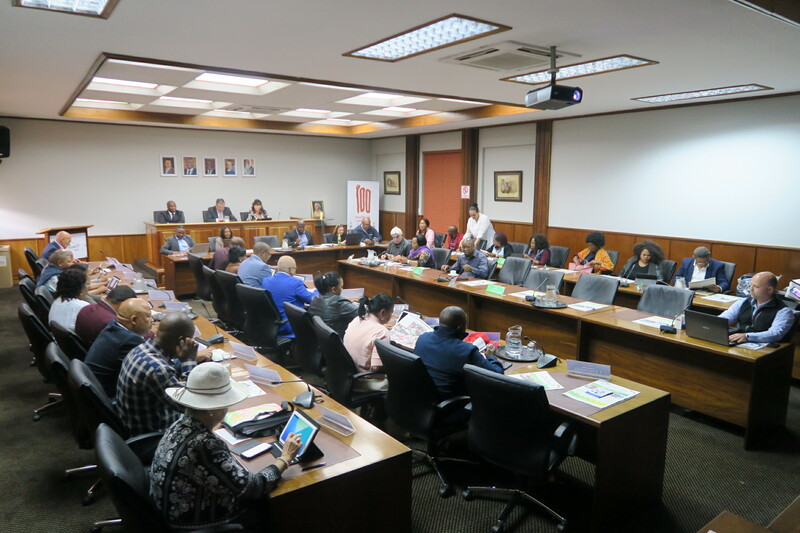 The Speaker position became vacant after Councillor Mark Willemse (former Speaker) resigned on 11 June 2018. During the absence of the permanent speaker, Cllr Barend Groenewald acted as Speaker of Council and served for a period of 7 months. Cllr Groenewald in his resignation letter as the acting Speaker, extended a word of gratitude to the Garden Route District Council. He thanked Council for the trust they bestowed on him during his acting period. In response to that, fellow councillors highly praised him for his leadership role during the past months and the excellent manner in which he directed all proceedings of Council. 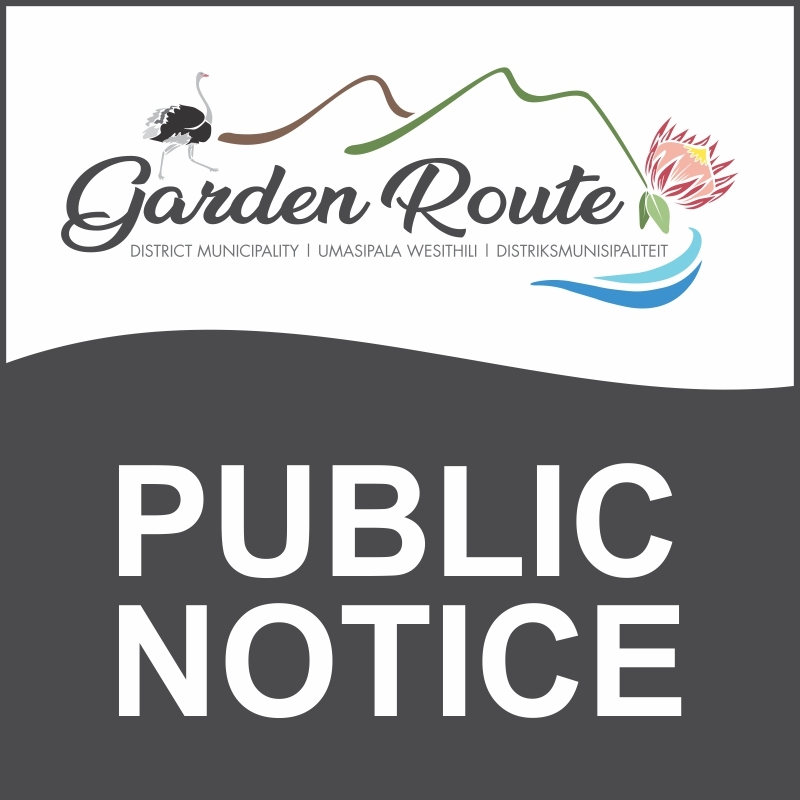 Notice is hereby given that the Annual Report for the 2017/18 financial year will be tabled at the Garden Route District Municipality Council meeting on 13 December 2018 in terms of Section 127(2) of the Local Government: Municipal Finance Management Act (MFMA), 52 of 2003. Also, the Annual Report is tabled as informed by circular 63 of the MFMA. Notice is hereby given in terms of Section 29 of the Local Government: Municipal Structures Act, Act 117 of 1998, of a Special Council meeting that will be held in the CA Robertson Council Chambers, 54 York Street, George on Monday, 1 October 2018 at 11:00 to consider the items as set out in the agenda. – Report on a proposal to host a Garden Route Golf Championship in association with the Ernie Else Autism Foundation. – Annual Deviation Report – Implementation of the Supply Chain Management Policy for the period 01 July 2017 – 30 June 2018. 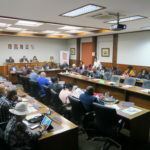 – Report on the amended Travel and Subsistence Policy. 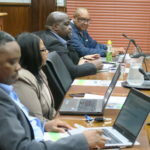 – Report on the Progress made with the establishment of the Garden Route District Municipality as a Water Services Authority. – Report on an invitation to Indonesia from 06 – 11 September 2018 and the signing of a Memorandum of Understanding. – Report on an invitation to Dubai, Peru and Chile. It is with pleasure to announce that on 24 August 2018, the Western Cape Minister of Local Government, Environmental Affairs and Development Planning, MEC Anton Bredell, officially approved the name change of Eden District Municipality to the Garden Route District Municipality. 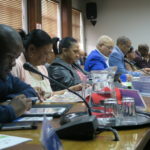 Executive Mayor, Cllr Memory Booysen (front, 2nd from left) and Executive Deputy Mayor, Cllr Rosina Ruiters (front, 3rd from right), with the Government Gazette. Here the Council, Management and staff share in the moment soon after the announcement. 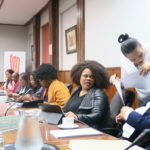 The announcement was made in terms of the Local Government: Municipal Structures Act, 1998 (Act 117 of 1998), as per the Western Cape Government Provincial Gazette no: 7972 published on 24 August 2018. Download the full copy of the Government Gazette No 7972. 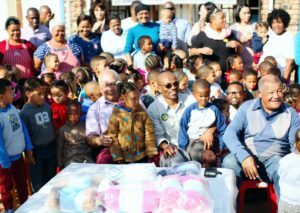 Acting Speaker of Eden District Municipality, Cllr Barend Groenewald, as part of the “100 Nelson Mandela Centenary 2018” celebrations, reached our to the Herbertsdale Crèche in Mossel Bay and donated 38 blankets to the toddlers. 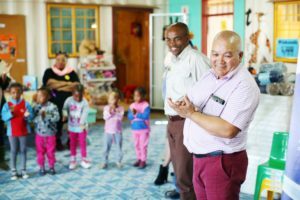 The visit was well received by the staff and toddlers. 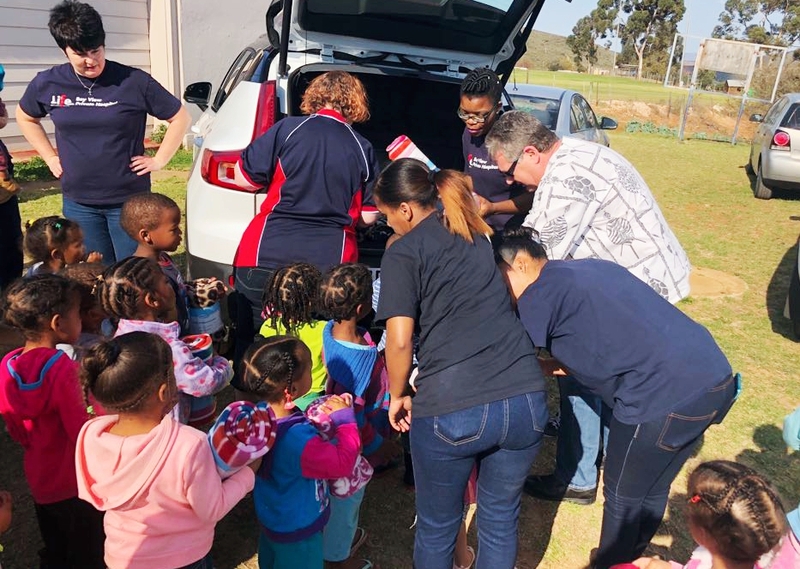 The Eden DM Executive Mayor, Cllr Memory Booysen, his office and employees from the Municipal Manager’s office, this year focused on empowering Early Childhood Development (ECD) institutions on Mandela Day. 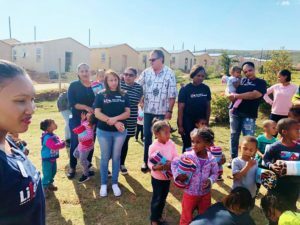 The District also partnered with Oudtshoorn Municipality and Ward Councillors from the Municipality who serve on the Eden DM Council to ensure that the most vulnerable crèches benefitted from the initiative. 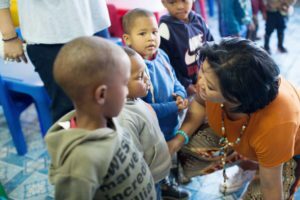 During Mayor Booysen’s address to crèches he emphasised the importance of improving the “conditions at ECD centres” and commended teachers for their “dedication and selfless efforts to ensure the well-being of all children”. 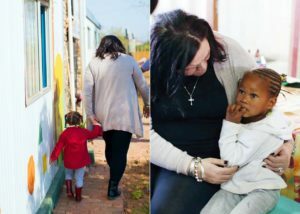 The following crèches received 20 mattresses, 20 blankets and 10 chairs each: Katryntjie and Sommeblom crèche in Oudtshoorn, Emmanuel Crèche in Dysselsdorp and De Rust Pre-Primary in De Rust. 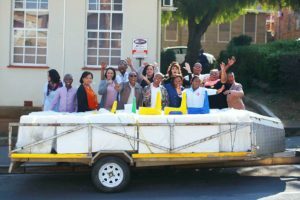 Today, the Executive Mayor of Eden District Municipality (Eden DM), Cllr Memory Booysen, launched the “100 years Nelson Mandela Centenary 2018” celebrations with its National theme “Be the Legacy,” at the Municipality’s Head-Office in George. 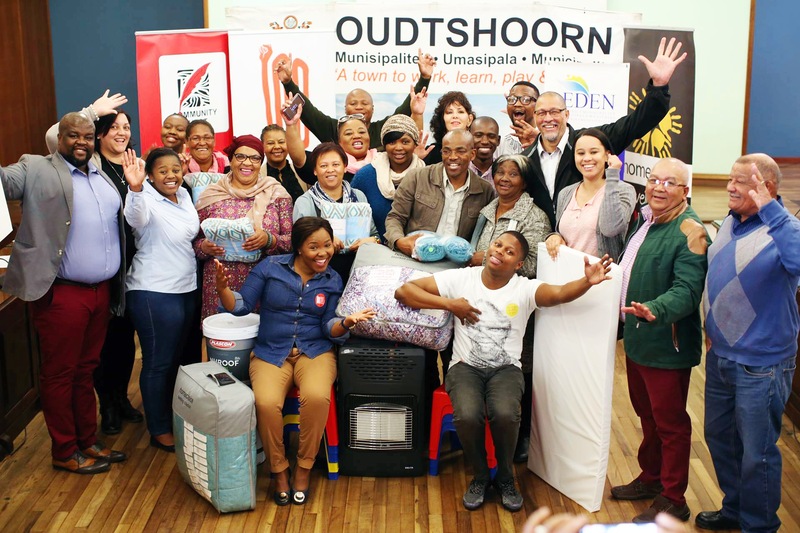 After the official launch, Mayor Booysen will be heading to Oudtshoorn Municipality to continue with the a joint programme with Executive Mayor of Oudtshoorn Municipality, Cllr Colan Sylvester. Officials based at Eden DM sub-offices will take part in various initiatives within the entire district throughout the day. Eden District Municipality (Eden DM) was invited by the Hong Kong Trade Development Council to attend the Belt and Road Summit on the 28th of June 2018. The Belt and Road Summit is an initiative that drives the global economy by fostering the development of regional infrastructure and connectivity, as well as, investment and economic co-operation. Manager District Economic Development and Tourism: Ms Melanie Wilson. During the summit, Eden DM Representatives interacted with various businesses with regards to investment opportunities in the region and in collaboration with WESGRO, promoted the region as an investment destination. 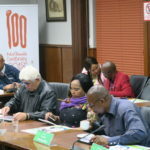 The aim of this was to sell the potential the district has, as it was tabled by various B-Municipalities during the Garden Route Investment Summit, held at Oubaai in March 2018. The region as a tourism destination was vigouriously promoted, not only to the Chinese and Hongkong representatives at the summit, but also to other internationals who attended the summit. Eden DM Executive Mayor, Cllr Memory Booysen and Ms Rehana Boolay, WESGRO Investment Specialist facilitation for China Trade. An Africa Investment Round Table discussion was also hosted and facilitated by the Hong Kong Trade Development Council. 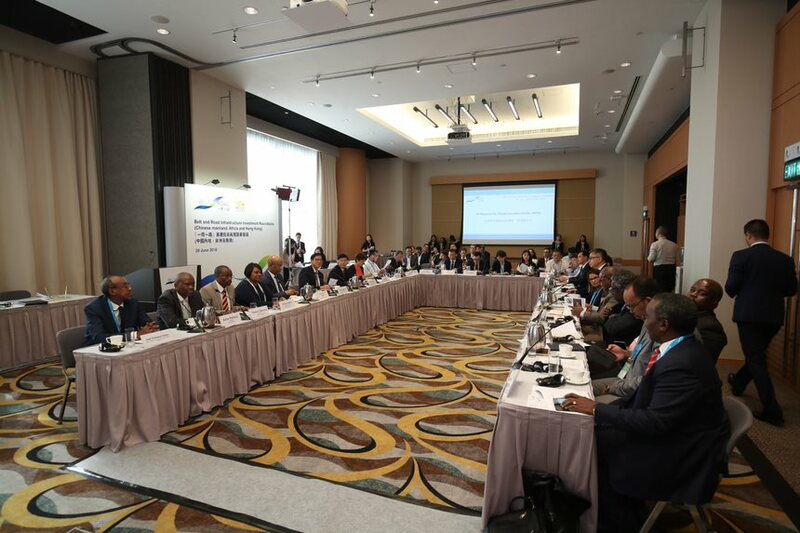 During this session, African representatives were given the opportunity to present their investment potentials to various companies in China and Hong Kong. The purpose of these discussions were to promote possible collaboration and partnerships, especially relating to Infrastructure and Tourism opportunities. The Eden Team, led by the Executive Mayor, Cllr Memory Booyson also met with the South Africa’s Consul-General to Hong Kong, Mr Madoda Ntshinga, who linked up the District with possible investment opportunities, in Hong Kong and China mainland. The Consul-General further committed to invite the District, together with businesses to various marketing platforms in Hong Kong. • Shanghai Pharmaceuticals Holding Co. Ltd. 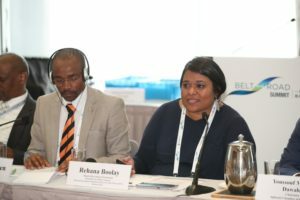 The meetings with the above-mentioned companies were also attended by Ms Rehana Boolay, Investment Specialist for China Trade and Investment Facilitator between China and the Western Cape. It is envisaged that an extended business delegation from China will visit the Garden Route in September 2018 in follow-up discussions, and to also concertize the various bilateral agreements. The purpose of the visit is also for Chinese to familiarise themselves with the region, investment opportunities and to meet the local municipalities and relevant private sector stakeholders. More information will be made available as progress takes place. During a Special Council meeting which was held on 13 June 2018, Cllr Barend Groenewald was unanimously elected as the Acting Speaker of Eden District Municipality. Cllr Groenwald’s appointment follows the resignation of Cllr Mark Willemse on Monday, 11 June 2018. 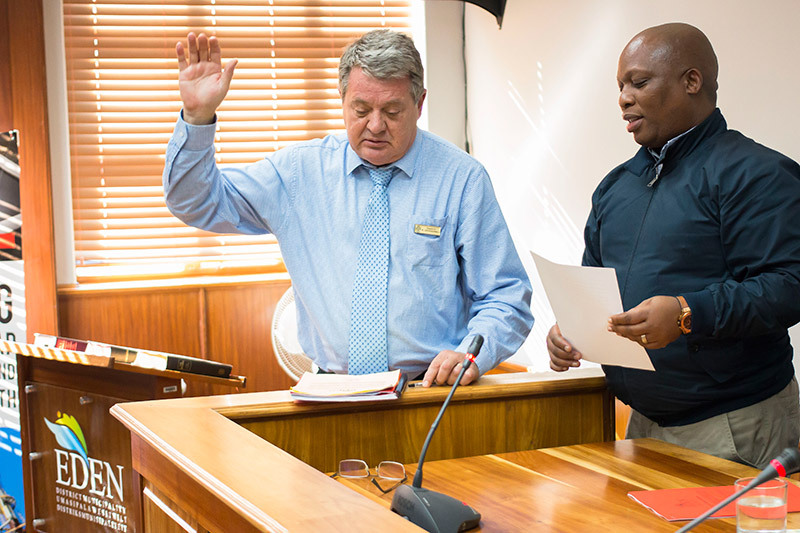 Cllr Mark Willemse has recently been elected as the Executive Mayor of Knysna Municipality. 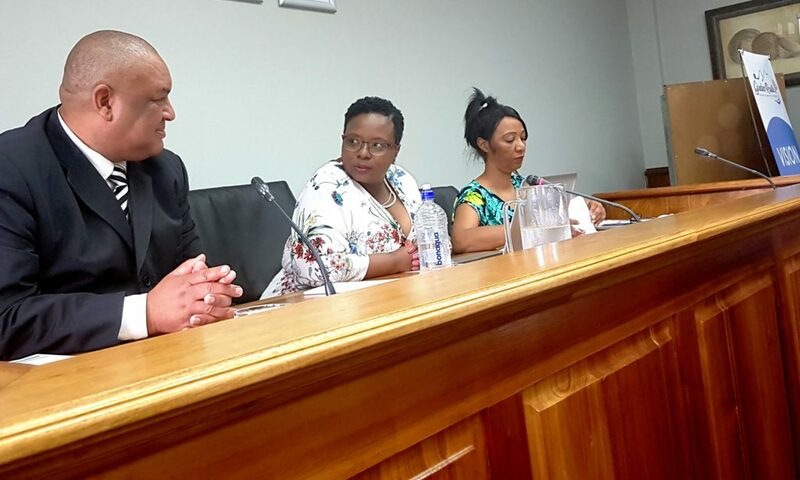 Chairing his first Eden District Municipality Special Council meeting is Cllr Groenewald (middle), with Municipal Manager, Monde Stratu (left) and the Executive Manager of Corporate Services, Ms Trix Holtzhausen. Eden District Municipality (Eden DM) has made funds available to assist landowners neighbouring rural roads with fencing of their properties. The funding will only be applicable on a subsidy basis. It effectively means that a 60% subsidy will be contributed towards the material on completion of the fencing. The subsidy has been determined by an average price for material to the Fencing Subsidy Policy of the Eden DM. 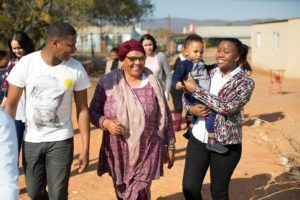 New fences must adhere to the specifications of the Provincial Government of the Western Cape: Roads Infrastructure Department. Minimum specifications will be made available to successful applicants. Application forms can be obtained from Ms Bernadene Prinsloo from the Roads Services Department. Contact numbers: Office 044 803 1506; Cell: 082 800 1263; E-mail address: bernadene@edendm.gov.za. Closing date for submission of applications is 31 May 2018. All applications will be verified and successful applicants will be notified by 30 June 2018. All fences must be fully completed by 31 January 2019 for payment before 28 February 2019. Payments will be made after inspection have been completed.